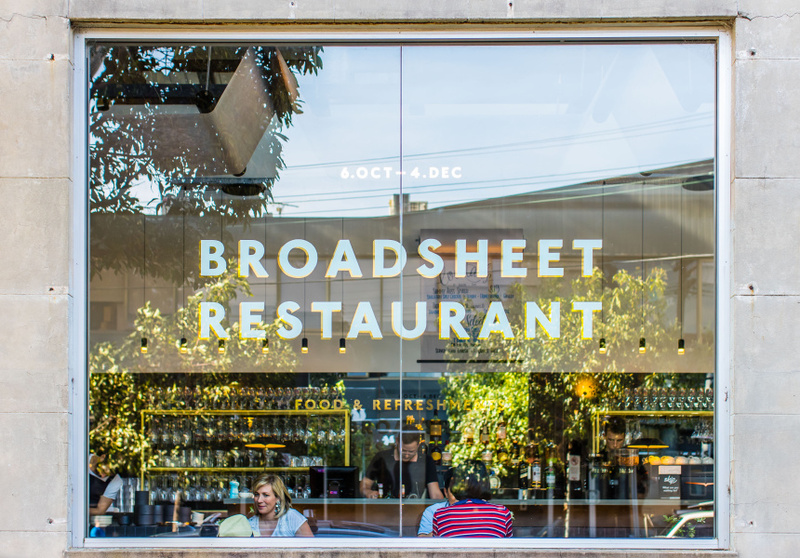 In a few months, Broadsheet will open the Broadsheet Kitchen. What are we thinking? On a sunny March morning seven years ago, we opened the Broadsheet Cafe – our first pop-up. It was a humble space, with furniture loaned from Jardan, a coffee machine loaned from 5 Senses, and little else. Broadsheet was barely a year old – it consisted of one-and-a-half employees, a handful of contributors, and one desk – but we had an active and growing audience. The cafe was the first of what would become a semi-regular project for us – to bring the pages of Broadsheet to life, showcasing the things we love about our cities in a real-world environment. In a few months time, we will open the doors to the Broadsheet Kitchen, our most ambitious project to date: a fully operational restaurant playing host to four different residencies over 12 months. 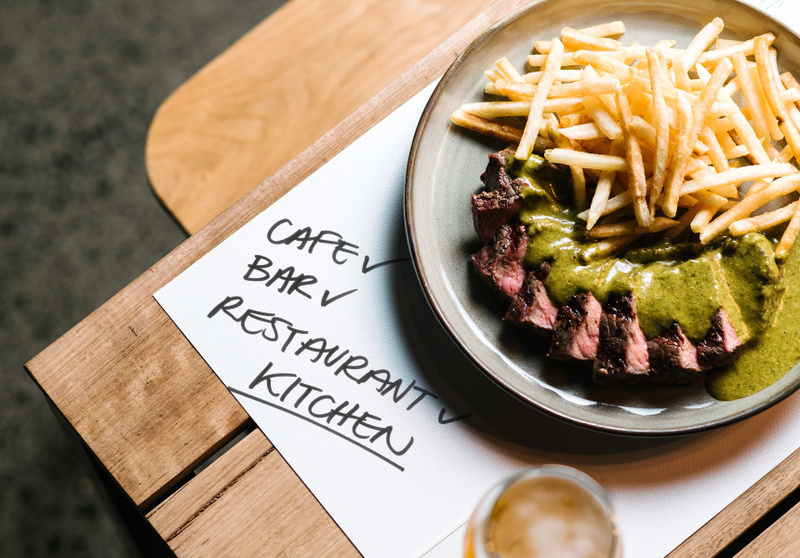 The restaurant will provide a platform for some of Australia’s most exciting food concepts, and give those behind them the tools to create a business that lasts. From the beginning, I felt Broadsheet should exist in the real world – not just on the internet. Broadsheet is probably best known for its online publication, but I’ve never thought of us as an internet brand – the internet is where we just happen to spend a lot of time. Broadsheet is about finding opportunities to talk to our audience in ways that make sense, no matter the medium. And one of the most exciting ways to bring together our favourite things, in one place, is in a bricks-and-mortar experience. 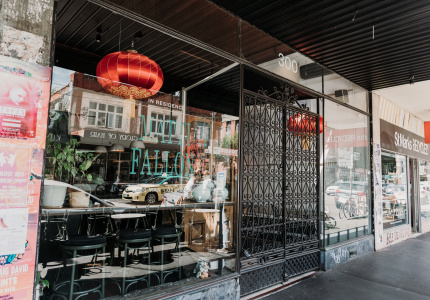 Our real-world presence started with that 2011 cafe – a little hole in the wall that ran for 11 days during the Melbourne Food and Wine Festival. Each day featured a different coffee roaster with its own baristas and beans: a place our readers could come to sample a different slice of the then-emerging specialty coffee culture each day. 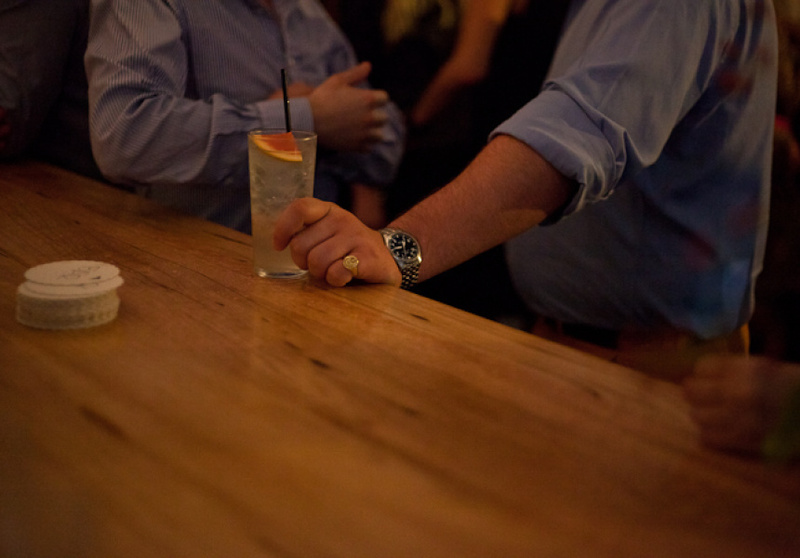 The next year we applied the same model to cocktail culture: Bar Broadsheet ran for 21 nights in Melbourne’s CBD, giving Melburnians access to drinks made by bartenders from the city’s best bars. 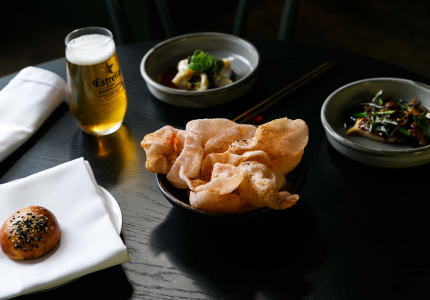 In 2015 we upped the scale and ambition with a full-blown Melbourne restaurant that opened for breakfast, lunch and dinner. We had an architect, and a builder, and even running water. In 2016 we opened another restaurant in Sydney. 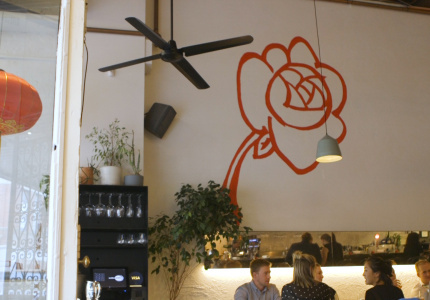 These restaurants were the most literal version of us taking what we do in the pages of Broadsheet and bringing it to life: a platform to celebrate and promote the restaurants, cafes and bars that we love. I’ve always felt that Broadsheet should add value to communities we cover. It’s not enough to tell people about what’s happening in their city: we need to play an active role. That means not covering everything that crosses our desk; it means identifying what we believe is positive for our community, and promoting it. In this way, the Broadsheet Kitchen will go beyond celebrating today’s best venues to play a role in helping to create tomorrow’s best. 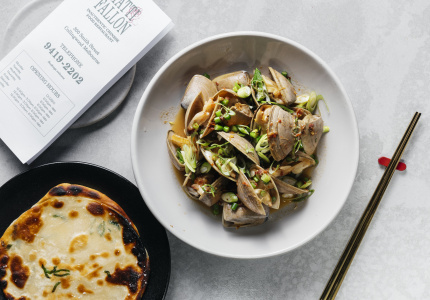 There are already would-be chefs and restaurateurs around Australia dreaming of the restaurants they’re going to open. It’s never been an easy undertaking, but today’s hospitality landscape makes opening a restaurant even harder. The barriers to entry are incredibly high for someone just starting out. It’s not easy to find the capital to open your first venue, which today could be in excess of a million dollars. That’s not to mention diminishing profit margins due to rising rents, labour and food costs. Over the last eight years, we’ve seen the dining public’s expectations develop and become more sophisticated: we live in a time and place where even local cafes have architecturally designed fit-outs, outstanding – seasonal – produce and impeccable service. It doesn’t matter if we’re eating burgers or degustation: we expect the best. And that means the bar is being pushed ever-higher for young upstarts in what is an increasingly competitive landscape. To be a restaurateur means to be a specialist not only in food, but customer service, marketing, bookkeeping, design, human resources and more. But few get exposure to this side of the restaurant business before they begin. So we decided there was a role Broadsheet could play. We’re not restaurateurs, but we have the resources to open a restaurant and we know those who do it best. Perhaps we could open a venue and invite aspiring operators to bring their dreams to life? Perhaps we could provide them with mentorships from the finest in the business? Perhaps we could create a platform to identify the next generation of big, bold change-makers? And so, the idea for the Broadsheet Kitchen was born: four restaurant concepts, with tenancies for three months, in one venue. Soon we’ll put out the call for tenants – for people who have a strong vision for the future of Australian dining and who can bring new ideas to the table. We’re looking for the people who are going to make a mark on the way we eat, but who recognise that running a restaurant is so much more than cooking delicious food. It’s a business – a tough business – that, at its heart, is about creating experiences that people are prepared to pay for, and return to time and again with their friends. Our restaurant dream is that the Broadsheet Kitchen will become the launch pad for the next generation of great Australian restaurateurs. And we’d love for you to come along for the ride. Nick Shelton is the founder and publisher of Broadsheet. To receive updates on the Broadsheet Kitchen, subscribe here, and follow @broadsheet_kitchen on Instagram.